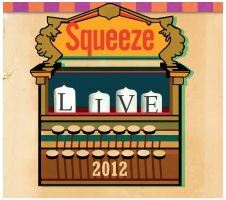 7 Responses to "Squeeze – 16 December 2012 – live at UEA Norwich"
Fantastic concert at the UEA, a birthday present from my brother. Great sound and awesome talent, now must get the new triple cd. I was at the gig last nite at the UEA. Absolutely amazing! I didn’t get the cd recorded at the show and really regret it now. Anyone know how I can get a copy? May have to order another one, the missus nicked mine to put on in her car!